The computer and internet age have changed the way that we think about crimes against businesses. What used to involve an office break-in can now be carried out thousands of miles away in a bedroom. Cyber attacks are becoming increasingly sophisticated and cause catastrophic damage to businesses if they’re not prepared. The risk can be mitigated, however, by employing the services of a penetration tester. 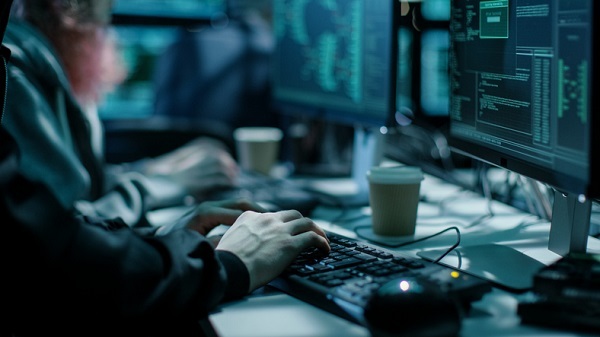 These cyber security experts are often termed as ‘ethical hackers’ because they pinpoint system failures and offer advice on risk mitigation. They use their existing in-depth knowledge of computers, operating systems and networking hardware to deliberately attack the business before legitimate threats can do so. Keep reading for an insight into their duties, and the skills needed to prosper in this exciting career. A legitimate attack on business hardware is difficult to counteract when it happens, so prevention is the best cure. Like all graduates with a diploma in network security, penetration testers have an excellent knowledge of computer programs, operating systems, servers and security software, which means they can thoroughly analyze the risk facing a client. They design penetration tests and apply methods which potential hackers often use to acquire important information. Penetration testers must look beyond simple software or hardware glitches for threats. Hackers could discover passwords by analyzing pet names or other items of interest listed on social media accounts. This type of ‘social engineering’ is often used by penetration testers to isolate risks, but its one of the guidelines that should be agreed upon with clients beforehand. It may also be preferable to carry out the test at times when it causes the least service interruption. Curiosity is one of the most important character traits for professionals in this line of work. Penetration testers must be passionate about computer systems, and always willing to learn about the latest software or hardware developments. New threats are always appearing, so these professionals never rest on their laurels. The extensive level of expertise required for this career is developed through training and years of experience in the cyber security sector. It’s often the next career stepping stone for security administrators or network engineers who’ve developed an in-depth knowledge of cyber attack defence. Penetration testers use their forces for good, and the best professionals reflect that willingness to help clients. A thorough analysis could eventually lead to an expensive overhaul of a business’s security system, but it’s likely to be a very small outlay compared to the damage caused by a hacking attack. Once the penetration tester has completed their analysis, they must relay the information to their client or employer so they can remedy any possible problems. Student who complete training in network security will become familiar with a lot of very technical language which is not understandable by the population at large. The best penetration testers are able to explain any problems in relatively simple, concise ways. Graphics are also commonly used to help clients with their understanding of the issue, and they are also offered estimates on potential financial losses or other damage if an attack occurs under the existing security system. Become a force for good by enrolling in our diploma in cyber security. Find out how Willis College will prepare you for this in-demand industry.